This is responsive WordPress theme comes with pixel perfect design, dynamic mega menu, incredible revolution slider, product widgets, nice effect Static blocks. It also includes Powerful Theme Options allowing you change colors and features of theme just in some minutes. With Ekora, you are able to customize many aspects of your theme such as footer, navigation menu and fonts with ease. 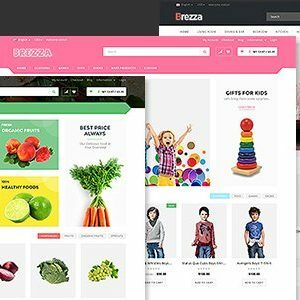 This theme is perfect for any type of fashion shops and comes with lots of awesome features. It has a very flexible configuration and allows to implement any ideas. Many display options of the post and products, animated blocks. Additional pages: About, 404 page, Contact us, Underconstruction page, etc. Ekora can be customized easily using Option Framework. It has a powerful theme options panel via Redux Framework. The theme also bundles custom tailored version of revolutionary Visual Composer which allows users o build various page layouts with minimum effort. 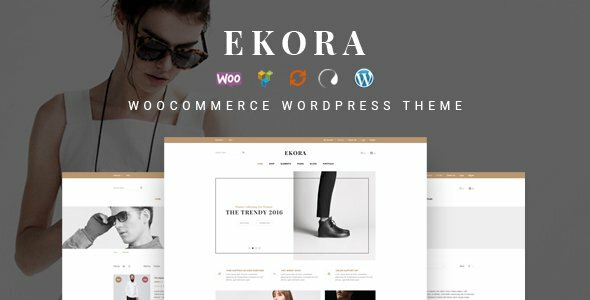 Ekora is very nicely integrated with WooCommerce and provide lot of additional features. Touch Enabled Sliders for product thumbnails. – IMPROVED: Fixed some CSS styles.